…pretty please make it this one!!! A couple of days ago, I discovered Quirky.com. Basically, you can submit an idea to Quriky, with a 140 character tagline and a bunch of pictures/drawings, and, if you get enough votes within 30 days and they like your idea, they’ll actually produce it (and you can get some royalties)! 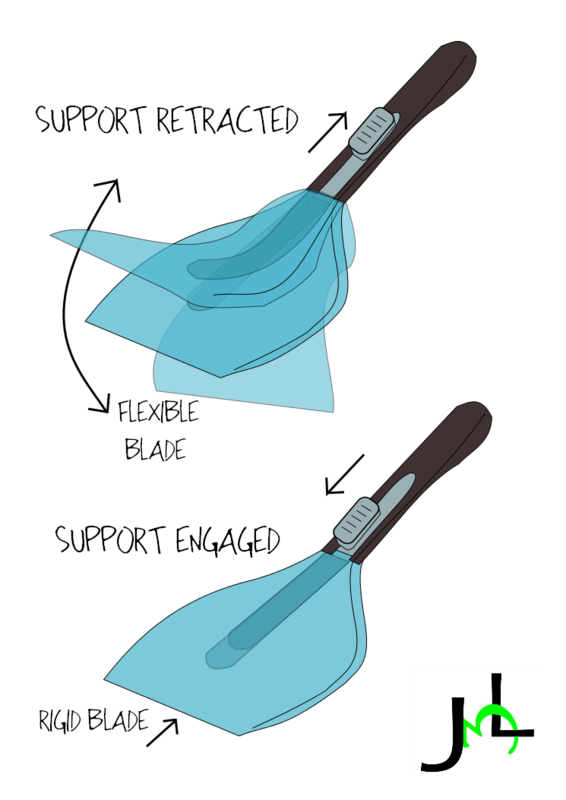 Well, it sounded like fun, so I submitted my Flexible Spatula! So, here’s my CALL TO ACTION: Please go to this link: http://www.quirky.com/ideations/275496 , and vote for my idea!!! I know that I will not get rich off of this idea. I also know that, if this idea is chosen for production, Quirky will get a little richer off of it…and that’s all fine to me. I love the idea of their site because it brings to market a bunch of products that would otherwise not see the light of day: I didn’t mind devoting the ~40 minutes to draw my design or the ~20 minutes to submit it to Quirky, but I would mind the huge monetary investment into developing materials, creating mold plates, and establishing a good working relationship with China! Also, they do well playing on the fact that most people are good initiators (they can come up with a plethora of great ideas), but most are awful ‘finishers’ (as this is the part of the job that takes MUCH more work). On top of all of that, I could, and may, also do a separate post on their website design because it really is top notch (it’s easy to use and it even has a countdown clock for your 30 days that gets as detailed as the seconds until your idea is closed for voting to add to the sense of urgency)! So, are you feeling inventive? Submit something to Quirky!! !